2015’s release of Dragon Ball Z: Resurrection ‘F’ marked the return of the hugely popular 80s/90s anime to local big screens for the first time in more than a decade. But hero Goku’s appearances in Hong Kong cinemas didn’t always come via Japanese animation – in fact, one time he appeared in a HK movie alongside Andy Lau and Aaron Kwok. 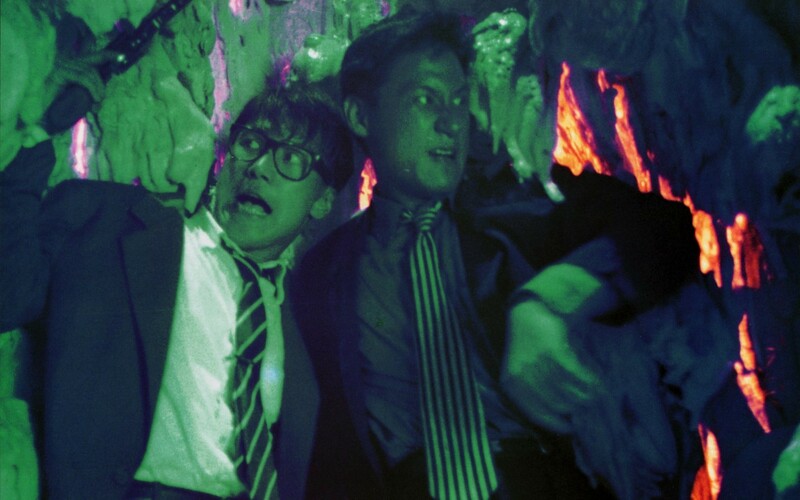 Of course, it wasn’t the ‘real’ blonde haired, fireball throwing super-saiyan, but a wonky knock-off, something Hong Kong cinema does so well, especially back during the booming 1990s, when the industry was at its over-the-top best. 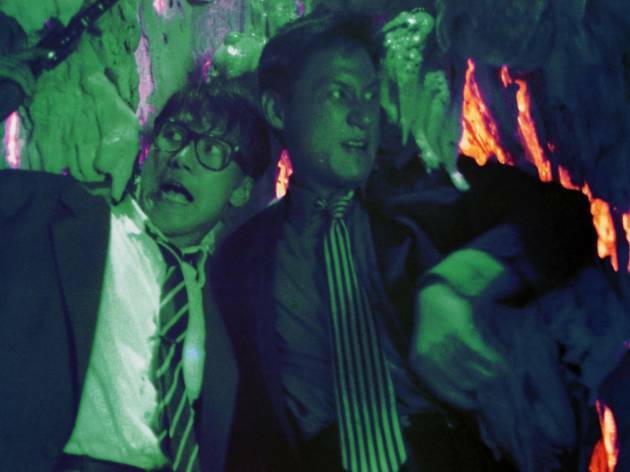 As the saying goes, imitation is the sincerest form of flattery, so it’s only natural that given Hongkongers’ love of manga and anime there have been a fair number of local films inspired by the Japanese medium, legitimate or otherwise. 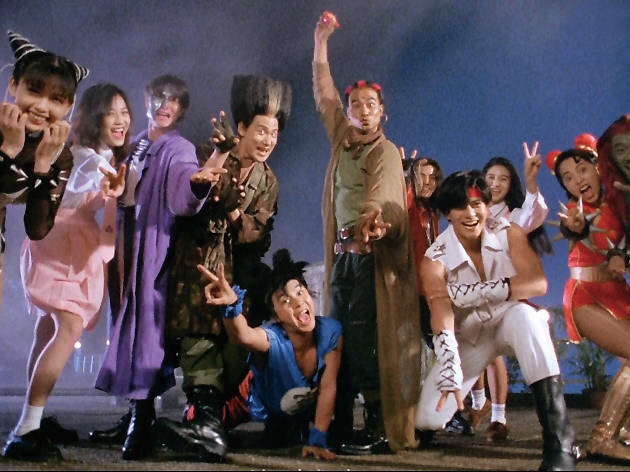 This adaptation of the manga Riki-Oh is a cult classic among Western film fans for having some of the most hilariously excessive and OTT violence in movie history. Just take a look at the attached photo – it’s from a scene in which a thug slices his stomach open in order to use his intestine to strangle the titular character (“You’ve got a lot of guts,” remarks one bystander in the English subtitles). The schlock continues throughout. This film’s cheap special effects and unabashed B-tone remain true to the source material and make it one of the most authentic manga movies to date. bit.ly/thestoryofrikioh. If there’s one movie that epitomises notorious Hong Kong director Wong Jing, it’s probably this. Crass, nonsensical and so-bad-it’s-good. 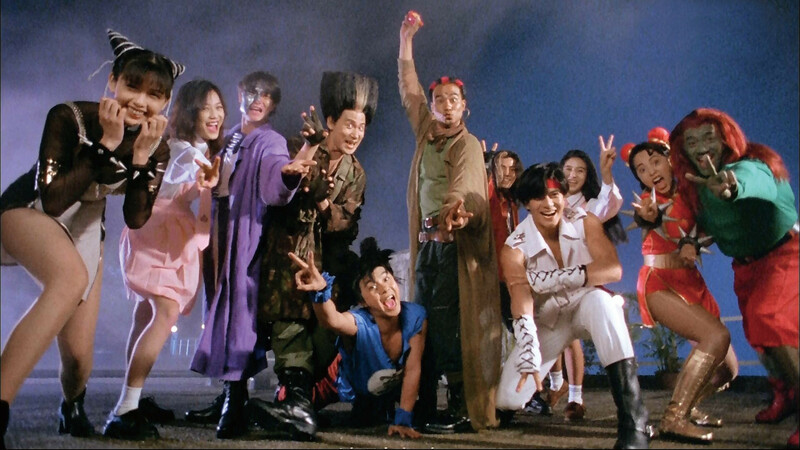 With this star-studded vehicle, featuring three of Cantopop’s four Heavenly Kings, Wong hitches his wagon to the huge early 90s popularity of not just Street Fighter II and Dragon Ball Z, but also Stephen Chow’s Fight Back to School series (the Chinese title to this film translates as Super School Fighter). A completely ridiculous movie with barely a fig leaf of a plot – if you must know, a team of cops from the year 2043 travel back in time to prevent a future judge’s assassination – the movie exists solely as an excuse for dumb visual gags. 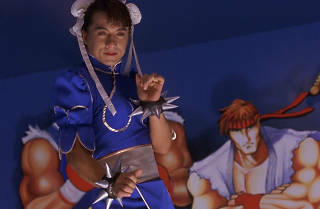 The sight of stars Andy Lau, Aaron Kwok and Simon Yam portraying Street Fighter characters Vega, Ryu and Dhalsim was ridiculous back then and even more so today, what with each having gone on to become legit actors. bit.ly/futurecops. Not content with just one zany adaptation, this was another offering churned out by Wong Jing in 1993. Fortunately it’s far superior to Future Cops. 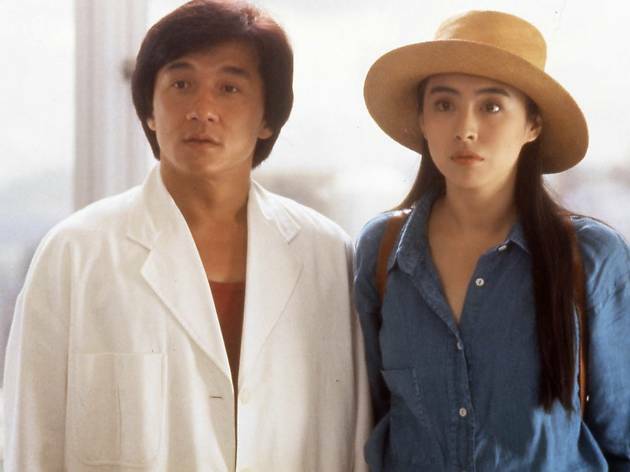 Having Jackie Chan take the lead helps, and the actor makes the most of playing womanizing detective Ryu Saeba. Also of benefit is the decision to actually make a manga adaptation that at least tries to follow the original material. 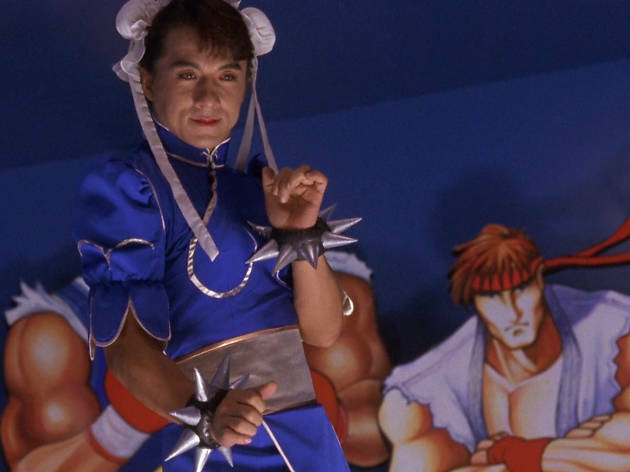 Famously, there’s still a random Street Fighter II scene chucked in with Chan crossdressing as female warrior Chun Li, but overall City Hunter is a fun action-comedy that delivers well the story of a perverted private detective delivering justice. bit.ly/cityhunterhk. 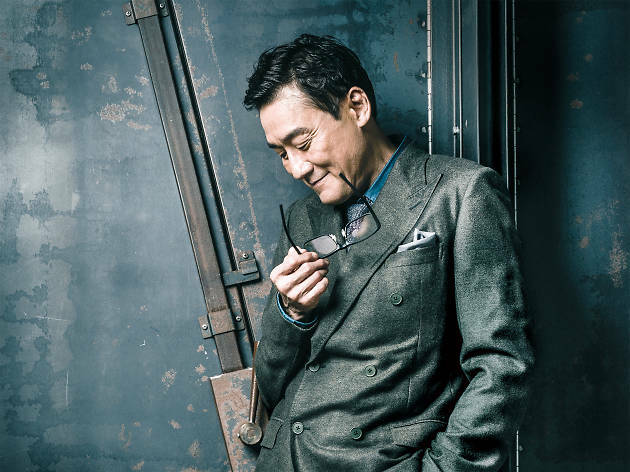 Ekin Cheng, David Wu and a pre-perma tan, pre-stardom Louis Koo star in this shameless attempt to ride the huge sales of high school basketball manga Slam Dunk. Featuring none of the manga’s characters, storylines or wit – basically all its strengths – this lazy genre mishmash (part sports movie, part teen romance) is made worse by some of the worst basketball choreography ever caught on film. With super-swift cuts, bizarre zoom-ins and ludicrous moves, it’s obvious Ekin Cheng had never played basketball or even seen it on TV prior to shooting this. bit.ly/slamdunkhk. Want more Hong Kong cinema? Photo by Calvin Sit. Art direction by Phoebe Cheng.